Are you finding it difficult to scale your hosting business due to difficulty managing multiple XenApp and XenDesktop domains? Is it difficult to audit customer service assignments and perform business analyses? Is your go to market strategy and multi-customer management affected by the complexity in setting up multiple offerings? If you are finding yourself in any of the above situations, we have some good news for you. The latest release of the Hosted App and Desktop Service (HAaD) in CloudPortal Services Manager will wipe these challenges off your plate. What is the Hosted Apps and Desktops Service? CloudPortal Services Manager Hosted Apps and Desktops Service enables Citrix Service Providers to deliver and manage multi-tenant hosted XenApp and XenDesktop services from a single management interface – reducing complexity and helping scale across multiple customers/tenants. Deliver Hosted App and Desktop Services: Deliver hosted offerings at lower cost and with higher margins using a multi-tenant architecture and comprehensive control panel. Easily Scale a Multi-Tenant Hosting Business: Quickly scale your business with simplified onboarding, powerful automation and design flexibility – all managed within a single platform. Increase Technical Bench Productivity: Enable fast access and management of app and desktop services – 10x faster performance when managing service offerings. Simplify and De-risk Upgrades: Gain peace of mind with a flexible multi-site architecture that reduces downtime and improves risk management during upgrades and delivery of services. Multi-site Support: Scale your infrastructure independently while maintaining flexibility with multiple versions of XenApp and XenDesktop. Upgrade via Migration: Independently manage multiple XenDesktop sites within a single platform – allowing a simple low risk upgrade and migration path. 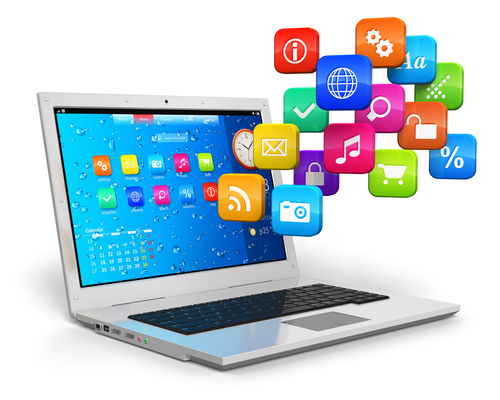 Multi-site management for hosted apps and desktops. Co-existence of Multiple Versions: Version agility allowing the use of existing infrastructure and onboard new customers to latest version of XenApp and XenDesktop. Simplified/Faster Onboarding: Quickly onboard new customers and applications with simplified app onboarding and bulk user provisioning. Optimized Service Delivery and Usability: Identify and assign offerings as shared or private in a couple of click without the need for a complex naming convention. Simplified Offering Management: Quickly understand offering assignment across all multi-tenant sites and Shared/Private modes from an intuitive management portal. 10X Faster Performance for Delivery of Offerings: Rapidly deliver offerings in a muti-tenant environment for “A” customer and “B” offerings across a set of “C” users. Detailed Usage Insights: Gain detailed insights into service usage and customer assignments – helping decisions that enable faster delivery of services. Site deployment, usage and assignment. Robust Design and Architecture with Enhanced Support: Independently update various versions of XenDesktop, StoreFront and VDA versions by leveraging flexible architecture. Risk Management: Manage upgrade risks by independently validating update and migration procedures thereby eliminating downtime. Citrix Service Provider-based DaaS solutions provide complete hosted desktops for applications and email securely delivered over the web. Desktops-as-a-Service are simple to buy and easy to manage, with no software for IT to maintain. Citrix Service Providers enable the end-to-end hosted business services demanded by the mobile workstyles of today’s end users. Citrix offers more than just a cloud desktop, enriching the SMB experience with access to secure mobile device management (MDM), and secure file sync and share. DaaS provides an accessible pay-as-you-go model to scale up in busy seasons and reduce expenditures when necessary. Moving to DaaS means a managed service provider hosts IT, so no need for local management of servers, hardware or software updates. Secure “native-like” mobile apps – Worx Mobile apps let you provide a superior user experience with better-than-native security. WorxMail provides an encrypted secure area for email messages and attachments fully integrated with contacts and calendar. WorxWeb provides encrypted browsing and access to the internal network resources without additional passwords. A mobile enterprise app store – Citrix increases time to value for your mobile strategy by providing the world’s largest ecosystem of verified, secure applications supporting windows, SaaS, and natively mobile applications. 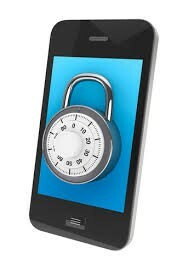 Security for any mobile app – XenMobile Enterprise edition also allows IT to wrap a set of security policies around any mobile app. More than 60 different policies, including passwords, PINs, camera disable, micro-VPN and more can be applied to any mobile app without disrupting its native code. 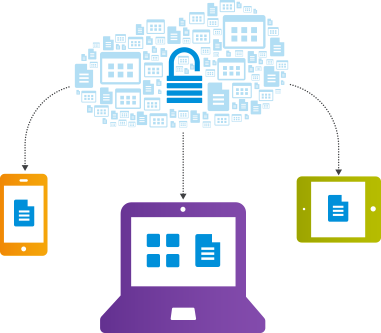 Integration with secure file sharing tools – XenMobile Enterprise edition is pre-integrated with Citrix ShareFile to let people share, sync and store data securely anywhere from any device. People can work on data within virtual apps and desktops, then transition quickly to work on the same data in native mobile apps for seamless productivity.